All the biggest countries in the world are armouring up for the forthcoming 2016 European Championship, which will take place in France. The next nation in line is Italy, for whom PUMA always deliver, and this time is no different. Get a closer look at the instant classic right here. 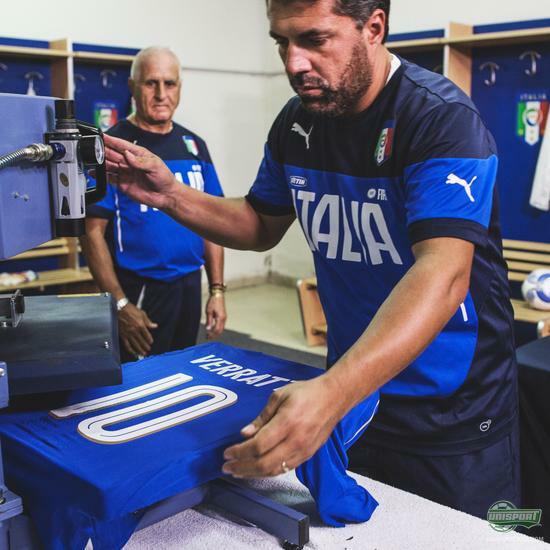 PUMA and Italy have a very long standing relationship and it’s easy to see why they are both so happy working together, because I can’t remember the last time I saw an Italy shirt that I didn’t think looked good. 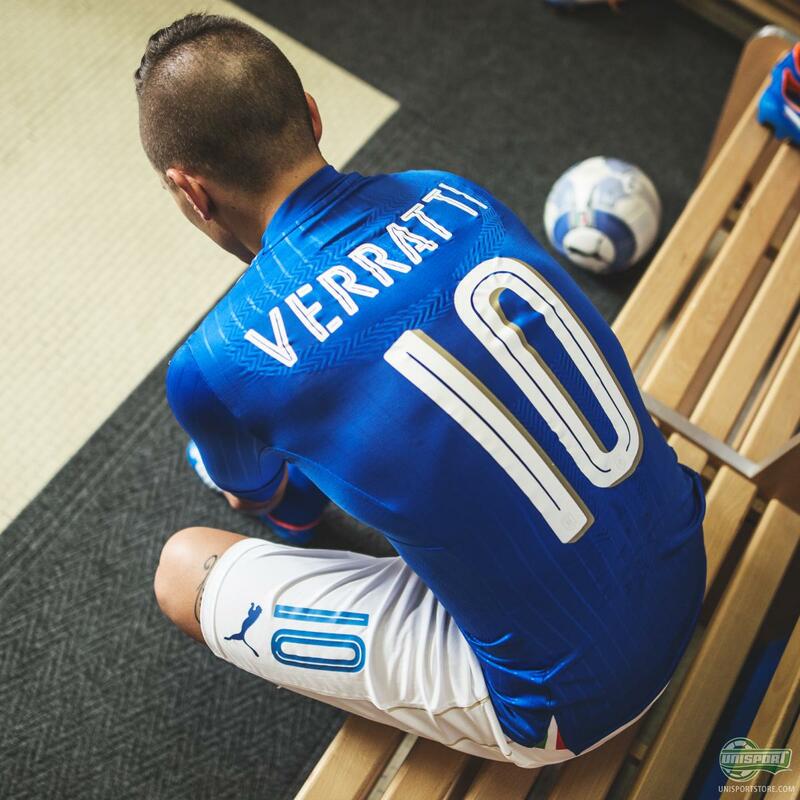 The azure blue colour just always works and PUMA have once more proven how good they are at adding the subtle details to give that element of class. 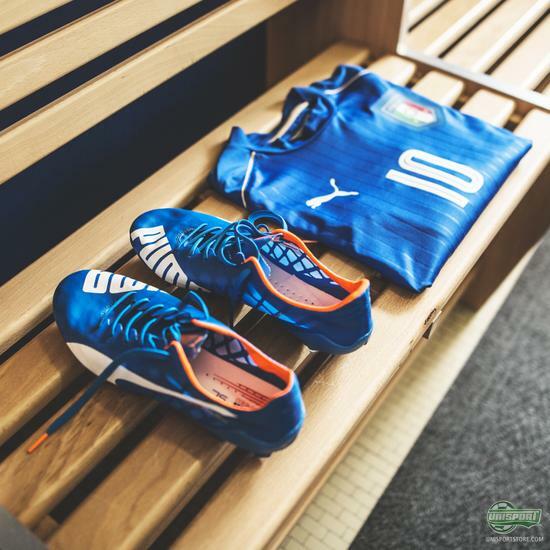 It’s needless to say that the Italians are generally a nation, who value style very highly and therefore there could be no missteps from PUMA. 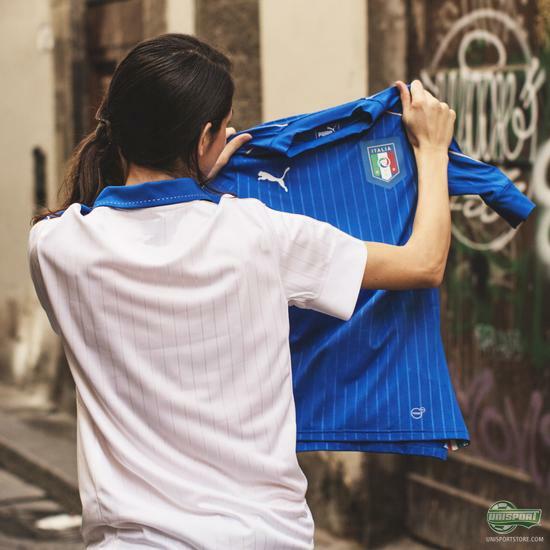 One of the ways the German brand have looked to give the new Italy home-shirt that element of fashion is with the high crewneck collar, which not only looks incredibly stylish, but also makes for a snug fit around the neck area. The new Italy home-shirt can be ordered from tomorrow (10.11.2015), so if you want to get your hands on it stay tuned here. 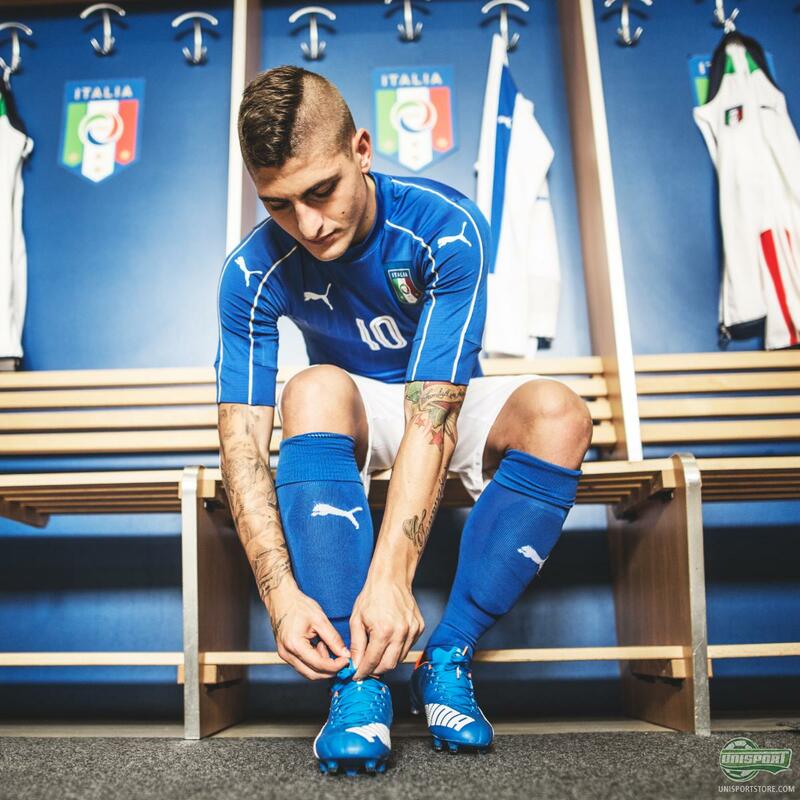 PUMA have already presented the Italy away-kit earlier this year, so with the introduction of this new home-shirt De Rossi, Verratti and the other Italian stars are now completely ready for Euro 2016 in France. 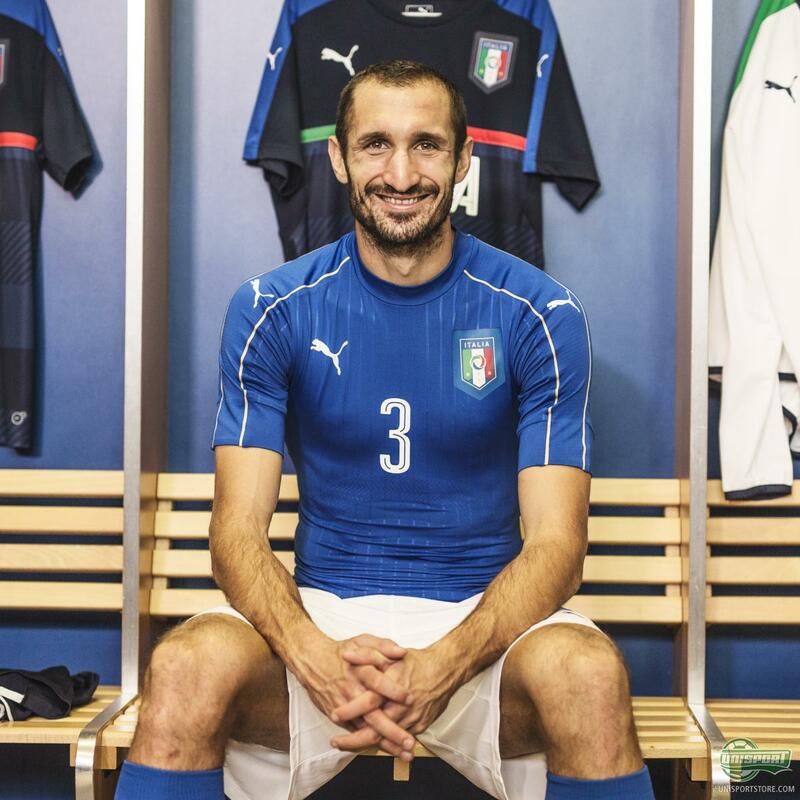 Which is your favourite detail on the new Italy shirt?